What Is Clear Voice Surveys? Clear Voice Surveys, whose website is clearvoicesurveys.com, refers to an online survey panel that is owned by the Clear Voice Research, LLC and it is based in Denver, Colorado. As is with any online survey of repute, becoming a member is free. After registering, users automatically enter into a sweepstake competition which qualifies them to earn a compensation that can be anywhere between $1 and $20. If you started a survey that you didn’t qualify for, you can expect to be rewarded 10 cents. This might appeal little but several other companies like Opinion Outpost, Global Test Market and Inbox Dollars will not pay you for surveys of which you do not qualify. How do you earn money with Clear Voice Surveys? You will be paid for taking part in a survey, and the pay ranges from $1 to $20. But don’t go there expecting to get $20. In most cases, you will just be getting those $1 surveys. This is not much and some people have considered it a waste of time. 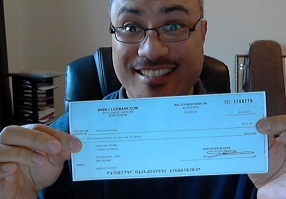 Another way to make money with Clear Voice Surveys is by entering in sweepstakes. With every survey that you take, you enter sweepstakes and stand a chance to win up $1000 in cash prizes. However, unlike other online surveys, Clear Voice does not give you any extra reward for referring others to join it. For you to earn the money, you need to accumulate at least $10 in your account, which is a good thing. The problem though is that payment options are limited to only Amazon gift certificates, Dining Dough gift certificates, Payoneer, and MasterCard. This is sure to rile many members because it is fairly limited in payment options compared to the payment options of other market research firms. Although I have seen some claims to the effect that they offer other payment options, a visit to their website indicates that you have to do with only one of the options above. I also need to mention that I checked for Dining Dough options in several areas and in most cases, the gift certificates were only for a fraction off the individual bill of the restaurant. For example, even if you have a certificate worth $50, it could only apply to bills totaling to more than $100. Other Clear Voice Surveys members have also voiced complaints with Payoneer. This means that the only payment method that works without any issue is Amazon.com gift certificates. Are there an problems with Clear Voice Surveys? Programs such as Clear Voice tend to be very attractive to new people who are lured by the prospect of working from home and generating some cash. But as you will realize, you cannot make a decent income out of easy tasks. In fact, if the job was as easy as they say it is, everybody involved would be taking home a decent pay. But it is not easy to make a living this way. The thing is, you can never really make a respectable amount of money just doing online surveys. Sad as it may seem, it is the inescapable reality. As to whether you can make some extra bucks, that is okay. The problem is you will most likely just earn $10 per month or so. Although there is the chance of making $1,000 from sweepstakes, that is just luck. There is no guarantee. What are others say around the web? “CV Surveys was once a good way of earning extra money until they changed the rules so as to receive payment. Today, you must give your cell phone number and they will text you a code to enable you redeem your rewards. But they won’t send the code. Even if you call, they sometimes don’t answer. Although you will definitely make money with CV Surveys, I won’t recommend this site as your primary means to earn money especially if you want to work full-time from home. Clear Voice Surveys appears better than most others since it pays you even if you take a survey for which you do not necessarily qualify. The problem is that the money is just too little. 10 cents for unqualified surveys and a monthly income of $10 at best is not what you want. In short, these surveys don’t compensate you enough for the time that you spend signing up for the different surveys. Therefore, if you want some serious money, you better look elsewhere. My #1 recommended money making program is Wealthy Affiliate. Is Toluna Surveys A Scam? Is Jeff Buchanans Instant Payday Network Legit? Memolink Review – Is Memolink A Scam?